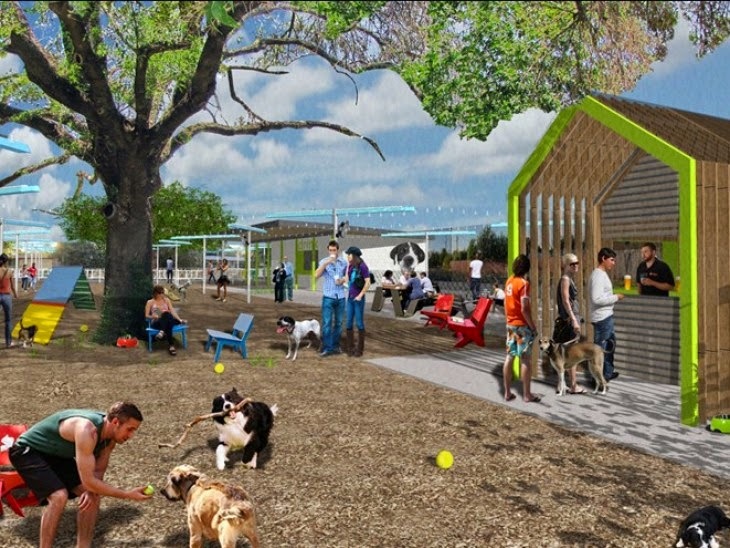 austindogandcat.com: Construction starts on new combo dog park and yard park in former Putt Puff location on Burnet Rd. Construction starts on new combo dog park and yard park in former Putt Puff location on Burnet Rd. Soon you will be able to have a beer while watching your dog careen wildly around an enclosed space. The combination bar and dog park in the former Putt Putt space on Burnet Road has finally been cleared to start construction. After being beset by numerous delays, Yard Bar posted a triumphant (and a bit ear-screeching) video of demolition starting on site. They held a "Mark Your Territory" (get it?) party over the weekend to celebrate kicking off construction.